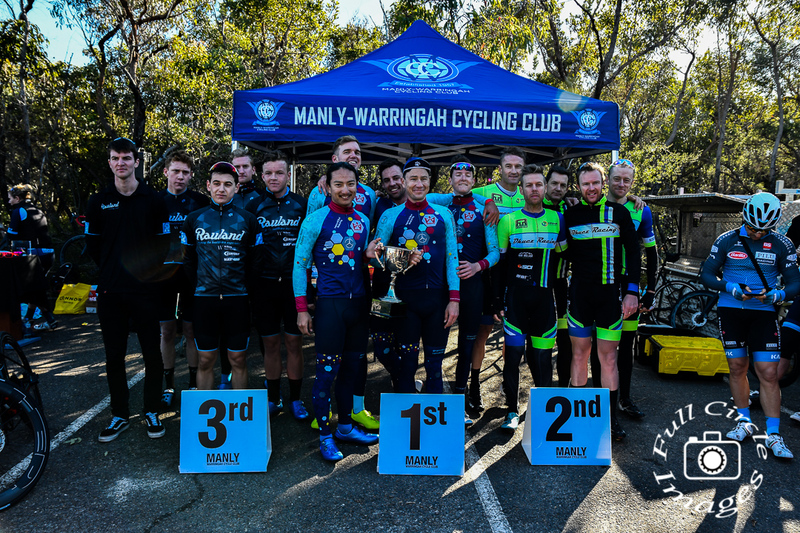 The prestige of the West Head road course continues to grow and the team behind the racing were proud to host the final round of the NSW NRS RAW Series. 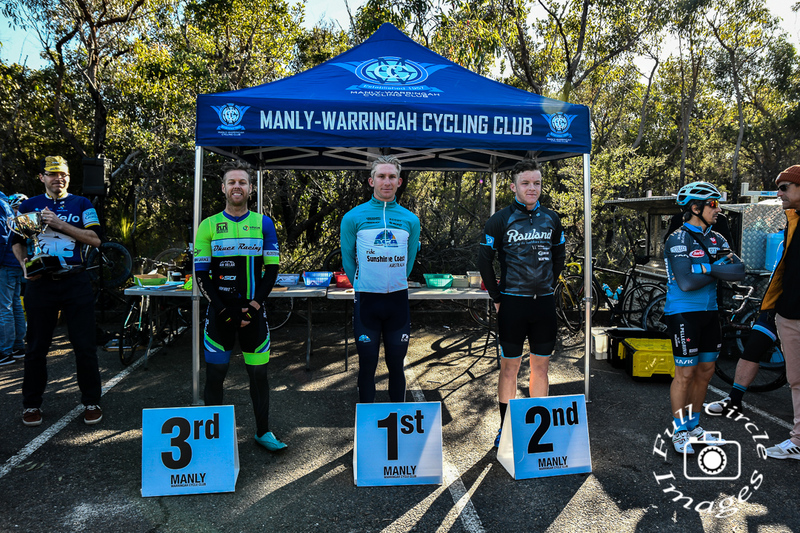 Only a few years ago the course would host 5 A Graders on a good month and now the best NSW National Road Series riders are lining up to find out who is top dog and the resulting race was nothing but a blood bath out on course. 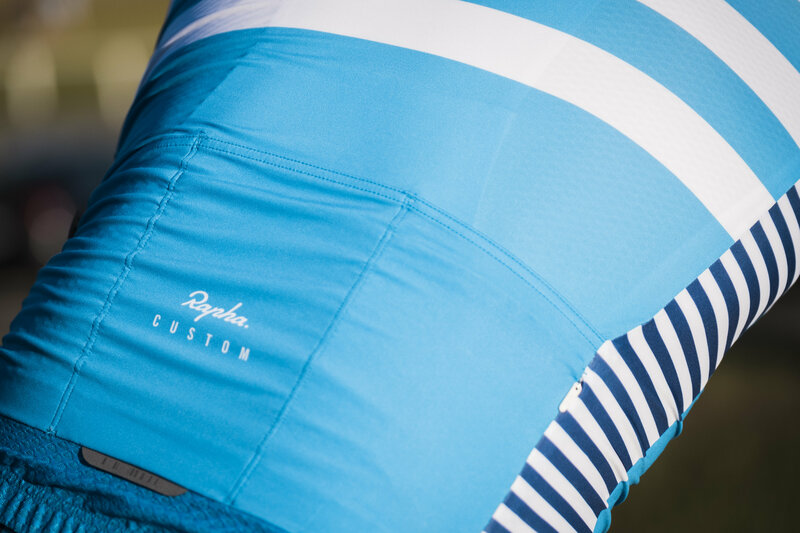 The series had hosted an individual and team time trial up at Calga and a criterium at Heffron Park and now it was time to go out on the open road. 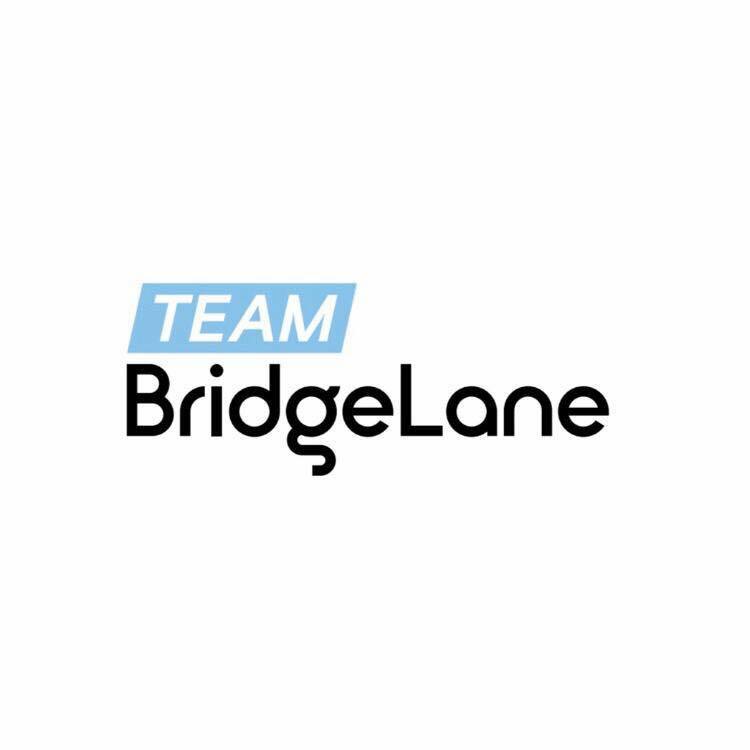 This series was about giving the NSW NRS race teams some tough racing in the mid-season break before racing commences back at the Battle Recharge. 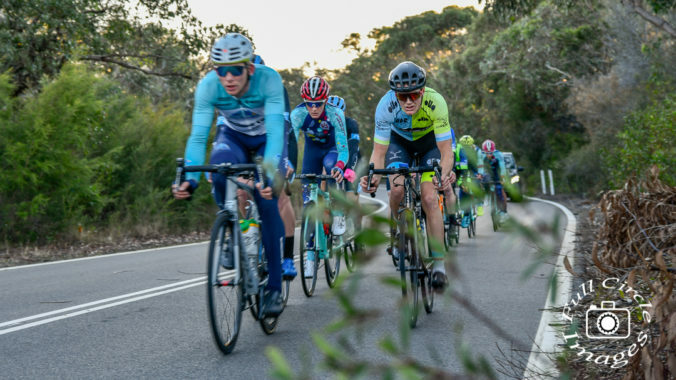 While a number of riders and teams may have some overseas commitments, for those back in NSW it was the perfect opportunity to sharpen the legs up. Coming into the final round Nero KOM Racing held a 19 second GC advantage. With the series time taken on the first two riders across the line from the team, the only form of GC defence was attack. While many would have scripted some form of bunch sprint, given the level of skills and fitness within the peloton assembled on the startline. What unfolded out on course was nothing of the sort. In what was a great example of aggressive, expansive and down right brutal racing every rider from every team that assembled through caution to the wind, the result of which was one of the best West Head Road races of the year so far. As soon as the flag was dropped Sam Hill of canberra based Phoenix Cycling Collective was off doing what Sam Hill does, attack. Despite a small hiccup (missing the first turn around), he set a precedent that was to blow the race apart in the first 10km. 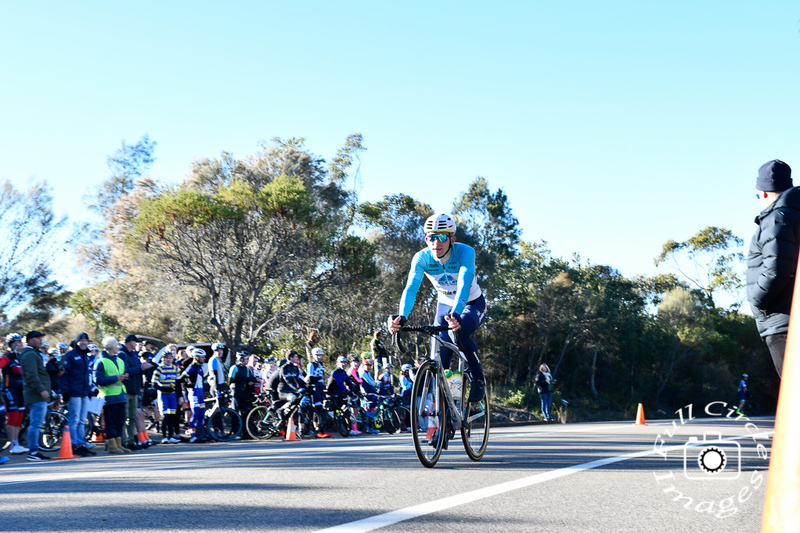 The Willunga Hill climb would prove the selection point of the main break on only the first climb and a mere 6km into the 96km race. With every major team represented, including at least 2 riders from the main GC rivals; Nero KOM Racing, Dhuez Racing and Rauland Racing the break moved away from the main bunch. For those that have raced West Head (at any grade), you’ll know it is not a comfortable ride, no matter the circumstance. That said the race continued in that mound until the beginning on the 3rd lap, when Angus Wilson of Nero KOM Racing, sensing a Wallaby attack, moved away from the break of 12. This set the scene for a super aggressive 3rd lap. A race within a race would unfold from here, with the NeroKOM boys attempting to be aggressive enough to possibly split their rivals from the break, but not losing contact themselves. Angus Calder punished some legs on the Wall, before Chris Miller snuck away with Sam Hill, the key moment of the race would follow. 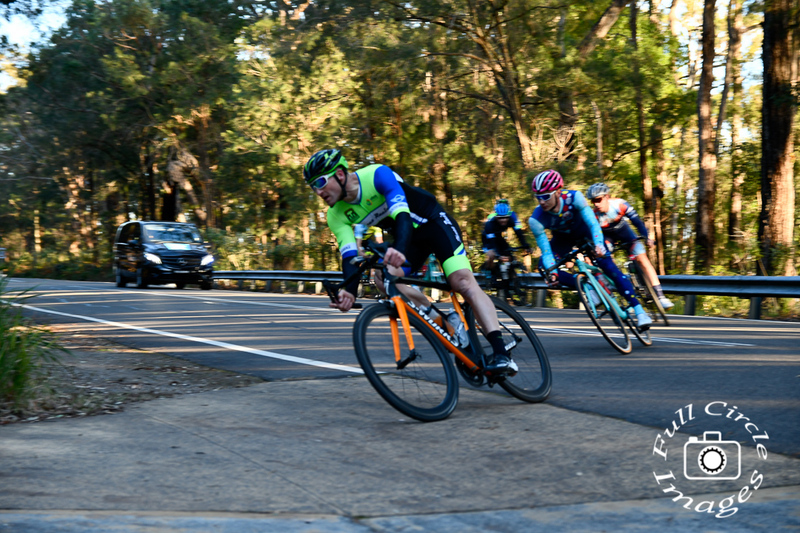 Miller being up the road forced Rauland and Dheuz to chase, and as Mick Curran (DHR) managed to bridge, Cam Scott of Australian Cycling Academy launched a vicious bridging move that took Angus Calder (Nero) with him to the front of the race. Fortunately NeroKOM would be the only team with 2 representatives in the front group, a series winning position. The final lap saw Sam Hill proving his Tamworth form is still well and truely with him, spending much of the lap solo. AN impressive feat considered just the previous day he had won the Country Metro Championship at Penrith. The break ceased fire and worked to bring him back just before the start/finish line, but when Cam Scott launched on the final berg it was clear he would take line honours in the final race. Miller and Calder ensured they finished with Curran a couple of seconds behind, giving NeroKOM the title. Strangely the format of first 2 riders which you would have thought would create negative racing, did just the opposite. Chapeau to all the riders in today’s race for making it one of the hardest, best and most entertaining in a long while. Thanks again to Paul Craft and the RAW Team for their efforts getting this concept off the ground and Blake Gillmer for the great photos. This is an abridged copy of the race report by Nero KOM Racing, which appeared on their Facebook Page and has been reprinted with permission.